Another patron requested follower. Sansei is a hand to hand ninja type. 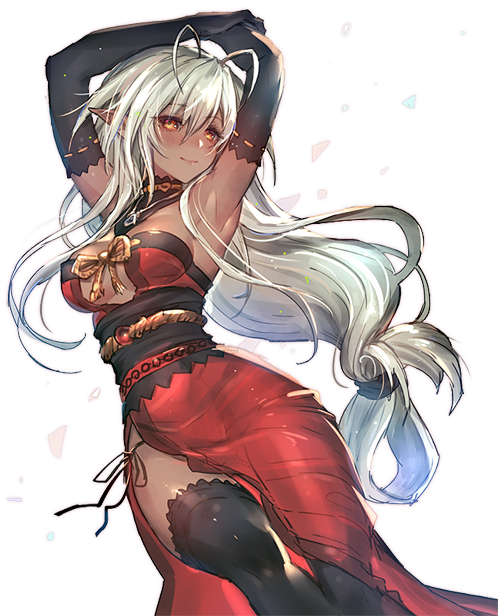 I can’t find much information on her, but she’s from a visual novel called Full Metal Daemon: Muramasa. I think she’s some kind of spirit or something that’s made of steel? I dunno. It’s too confusing to figure out. I made her really defensive to mimic being made of steel. Sasei Muramasa came from a far away land. When fighting her skin is as strong as steel. She is seeking an adventurer to help guide her in this strange land.